Longtime marketing expert and 36-year veteran of Toyota Australia, Matthew Callachor, has clinched the president and CEO role of the car company's Australian operations. Callachor began his career at Toyota Australia as a marketing analyst in 1982 after completing a Bachelor of Business degree, majoring in marketing, according to the company. His career advanced rapidly to include regional sales manager in Queensland and general manager roles for national sales and then national marketing. More recently, Callachor was vice-president during an 18-month tenure, responsible for the sales, marketing, product planning, corporate services and finance divisions, but has also developed extensive knowledge and experience both locally as well as in the US and Japan. 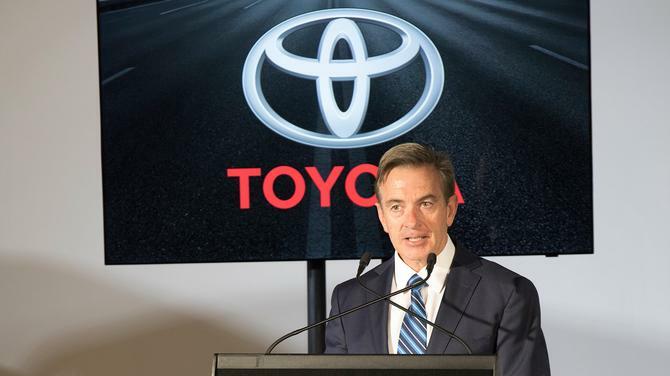 “My commitment to the Toyota family is that we will continue to deliver industry-leading vehicles and services and work even harder to ensure our owners receive amazing ‘Oh what a feeling!’ moments,” Callachor said in a statement. During his career, Callachor became the first Australian executive to oversee a Lexus division in Japan when he was named general manager of global Lexus planning, a position he held for three years from 2014, according to the company. At Lexus, he played a leading role in developing the medium to long-term strategy for Lexus, including last year's launch of the "Experience Amazing" brand tagline. Earlier, he spent two years with Toyota Motor Sales USA, where he gained valuable insights working in sales and marketing for the Toyota group's largest market. On his return to Australia from the US in 2002, Callachor led a breakthrough project that resulted in the creation of the company's first customer-service division and his appointment as its divisional manager, the company added. In 2005, he moved into the senior national marketing role and a year later - following the amalgamation of the sales and marketing divisions - was appointed as head of the combined units. In 2010, he was offered a directorship and the position of executive director sales and marketing.